Cruelty towards animals has hit a new high in recent times. From dogs and goats being brutally raped to rhinos and elephants killed for their horns, humans are proving their selfishness with each passing day. Apart from these terrestrial creatures, marine life has also been severely affected by human activities. And this insensitive video of a dead baby shark being used as a bong drives our point home. 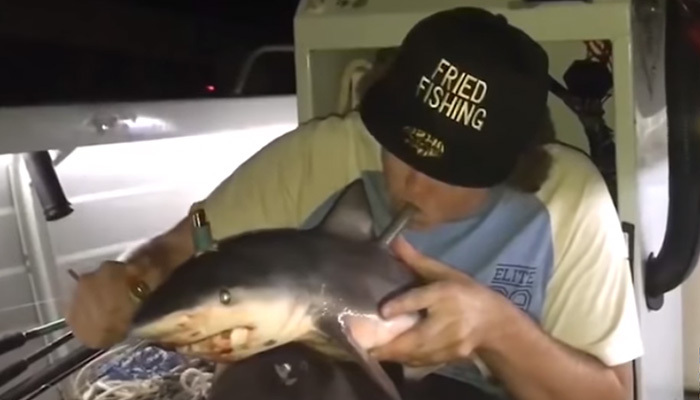 In a graphic video footage posted on Facebook by a page called Fried Fishing, we can see a fisherman named Billy, using a dead baby shark as a makeshift bong. 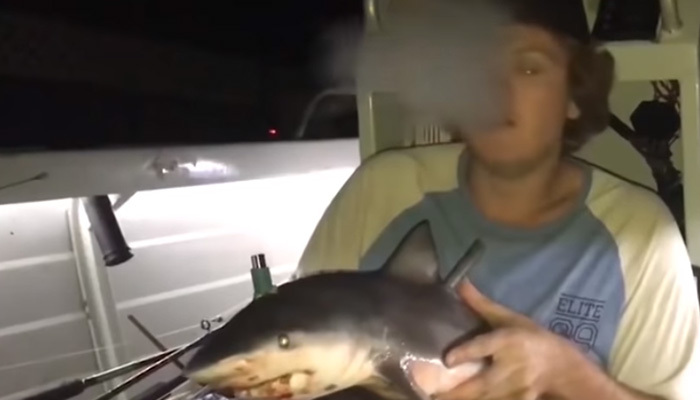 The clip clearly shows the man holding the animal in his hand and lighting the bong, using the two pipes which were sticking out from the shark’s fin. However, what’s even more disgusting is that the man had no regret pulling of the shameful act while the video was recorded. The video sparked massive outrage on Facebook with people angry at the fisherman. This is unacceptable. It makes me cry to think of the poor shark who was first killed and then used as a prop to make a viral video. Animal cruelty needs to stop and now. Here’s hoping that strict action is taken against the fisherman.